The soldiers in front and sides interlocked their shields. 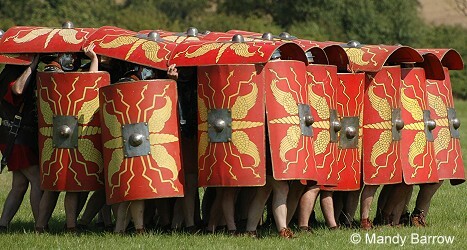 The soldiers in the back lines placed their shields over their heads to form a protective "shell" over top of the men. 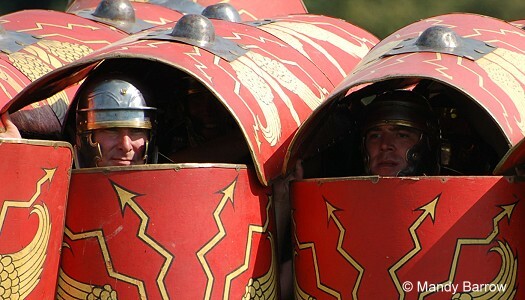 The Testudo was a very strong, tight formation. It was usually used to approach fortifications. 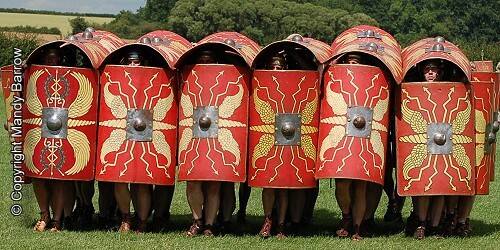 The soldiers could march up to a fort in the Testudo formation and not one of them would get hurt. 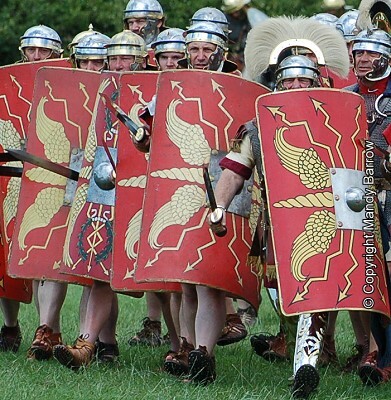 The shields fitted so closely together that they formed one unbroken surface without any gaps between them. It has been said that it was so strong a formation that men could walk upon them, and even horses and chariots be driven over them. The wedge was used to 'crack open' enemy lines. 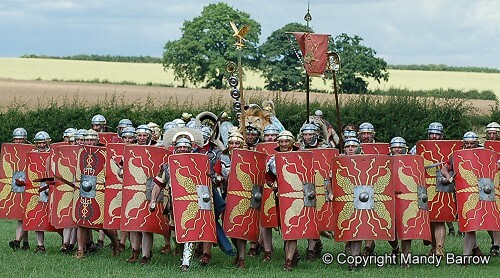 Legionaries formed up in a triangle, the front 'tip' being one man and charged towards enemy lines with their gladius out. The short legionary gladius was useful, held low and used as a thrusting weapon, it was easier and more effective than longer swords.